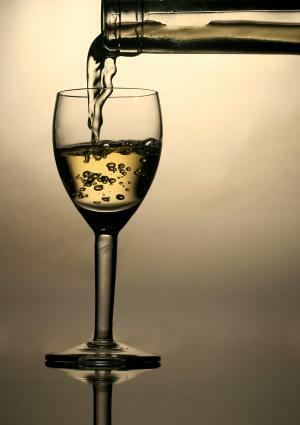 Wine Recommendations For February 2010, Celebrate Love! This is a month for romantic celebrations, and the wine recommendations for February 2010 are here. 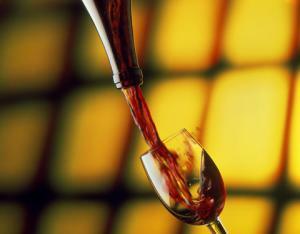 Whether treating your sweetie to a homemade meal, or to a fancy restaurant, wine is a must. You will shine when you chose one or more of these great wines. If you are planning a dinner at home, you have more opportunities to experiment. You can start out by choosing a favorite wine from the wine recommendations for February 2010, and chose special dishes that will compliment the wines that you have selected. But you may want to do it the other way around. You may decide on the dish first, and chose wines that will pair well and make the meal truly special. Either way, with these wines to chose from you cannot go wrong. They will make your celebration memorable, and they will not bust your budget! If you decide to celebrate at a restaurant, take note of these wines and ask your waiter if they are in stock. Atwater Estate Riesling Finger Lakes Dry 2008. Lovely wine with unusual notes of fennel and apple. Score of 89, $16.00 USD. New York. Chateau Ste. Michelle Chardonnay Columbia Valley 2008. Spicy and bright; notes of citrus and pineapple. Score of 90, $ 13.00 USD. Washington State. Bogle Sauvignon Blanc California 2008. Sauvignon blanc is well know for its grassy notes, and this wine is a wonderful expression of that trait. Add to it notes of citrus and papaya; very nice. Score of 88, $10.00 USD. California. Schloss Vollrads Riesling QbA Rheingau 2008. Beautiful spicy notes; this one will make you think of stone fruit, peaches and apricots are prominently displayed. Score of 90, $18.00 USD. Germany. Columbia Crest Merlot Horse Heaven Hills H3 2007. Really interesting wine with note of blackberry and cherry. Very special. Score of 91, $16.00 USD. Washington State. Columbia Crest Cabernet Sauvignon Horse Heaven Hill H3 2007. Another beauty from Columbia Crest. Think of currant, berries, and silk. Score of 90, $15.00 USD. Washington State. d'Arenberg Shiraz McLaren Vale The Stump Jump 2008. So good! Notes of berries and cherry. You can drink it now, or keep for six to eight years. Score of 90, $11.00 USD. Australia. Don't Miss These Wine Recommendations For February 2010!